The group bidding for cue sports to be added to the Olympic programme is targeting the 2028 Games in Los Angeles after missing out on Paris 2024. 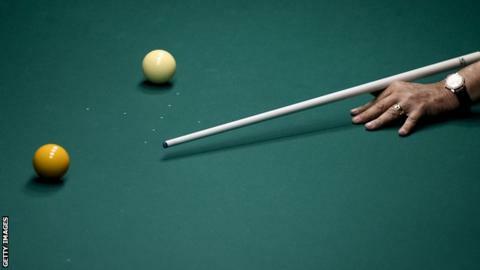 It was announced on Thursday that billiard sports - along with squash and chess - would not feature in France. World Confederation of Billiards Sports general secretary Diane Wild said the Billiards 2024 group had staged a "truly great bidding campaign". She added the decision of the organisers was "a disappointment". "Our goal is now to move ahead and stay united for the recognition of our sport," said Wild. Billiards 2024 said in its statement it was looking forward to "another bidding campaign in the land where pool was born, where we could take part in the Olympic Games 2028 in Los Angeles".